We are proud to package our building kits with some of the best steel sheeting around. 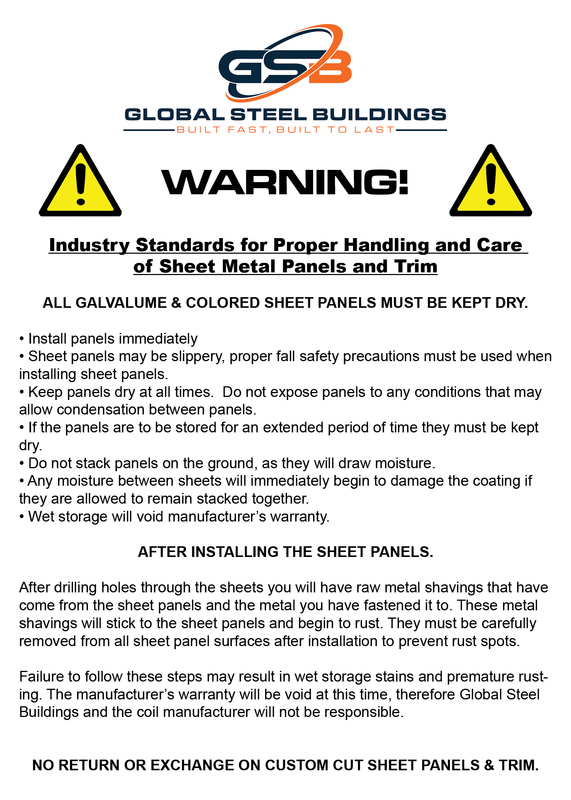 25-Year Finish Warranty on our 29 gauge galvalume sheeting. Click on the links below to view sheeting finish and warranty documents. Global Steel Buildings come standard with a 1-Year Manufacturer's Warranty against defects in workmanship and rust perforation. Available for purchase is a 40-Year Extended Warranty on our building frames. Drop us a line for more information on purchasing an Extended Warranty on your next Global Steel Building.